This is a terrific and terrifically easy recipe for the sharp, creamy, yummy cheese that spreads perfectly on bread. And it’s fun to make, too, so involve the kids in the process. Mix yogurt and salt very carefully! Some yogurts have salt in them, and we will lose most of the liquid. Spread diaper on a wide pasta colander with margins overlapping the colander rim. Pour the yogurt into the diaper, gather the ends, and tie them firmly around the mass of yogurt into a knot. Fasten the diaper knot to the faucet above the kitchen sink. Let it drip for about 12 hours, until it stops dripping (depends on thickness of yogurt). The Labneh is ready. Prepare a clean mason jar with olive oil, about half way up. Oil your hands in olive oil. 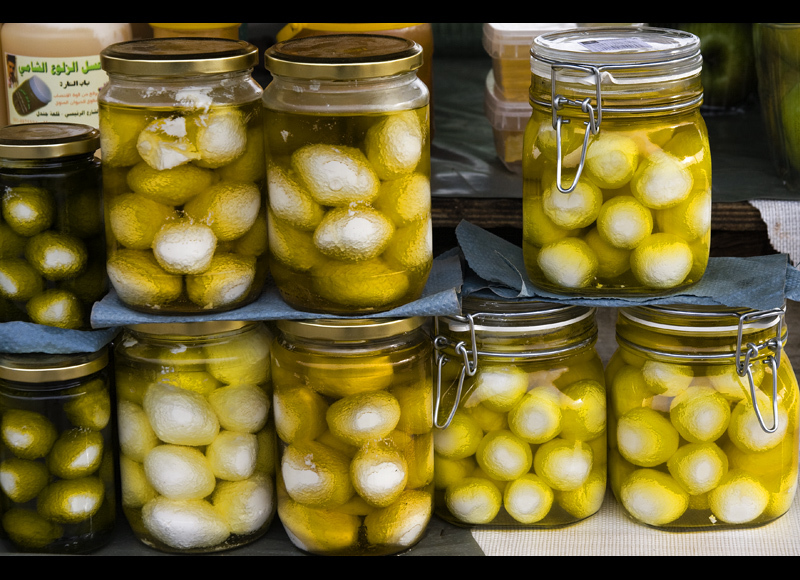 Pinch off giant-cherry-amount of Labneh, roll into small balls and gently slide into the jar. fill the jar with balls and oil. Add a sprig of Za’atar, or thyme, or nothing. It's good either way. Top with olive oil. Your Labneh is ready. Refrigerate. When you are ready to eat it, spread a ball on a thick slice of home-made bread. It will keep in the fridge for a couple of weeks. Enjoy a real Mid-Eastern flavor – rich and tangy and biting. Be careful – it’ addictive!